Preheat oven to 350 degrees. Cut the stems off of the figs and slice in half lengthwise. Place on a baking sheet and drizzle with a bit of olive oil, tossing to coat. Roast in oven for 5-10 minutes or until the sugars start to caramelize. Remove from oven and set aside. Slice 5 1/2 slices from french bread and place on a baking sheet. Drizzle with olive oil and toast in the oven until crunchy and starting to brown. Remove from oven and allow to cool slightly. 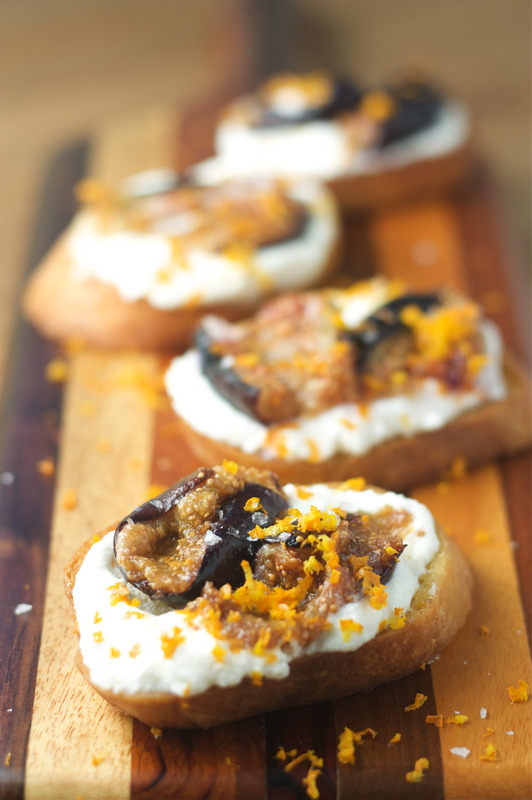 To assemble, spread each crostini with a generous amount of ricotta and spread two fig halves onto each one. Sprinkle with a pinch of sea salt. 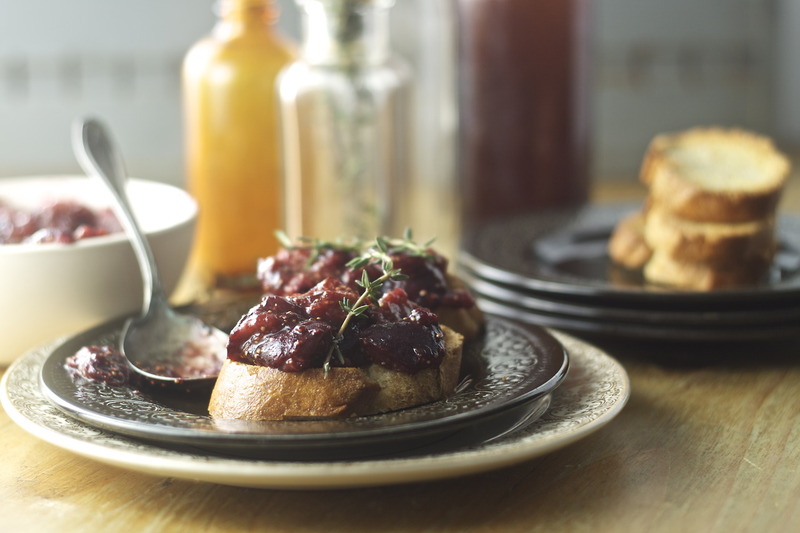 Using a microplane, zest the lemon over the crostini.